Guided imagery can be a great way to get an anxious child to relax. Our recreational therapists at Connections Therapy Center use a variety of therapy interventions and techniques when they work with children with disabilities. Some of which include behavior modification, sensory stimulation, stress management relaxation, and guided imagery. It is fair to assume to that most people are unfamiliar with the term “guided imagery”. 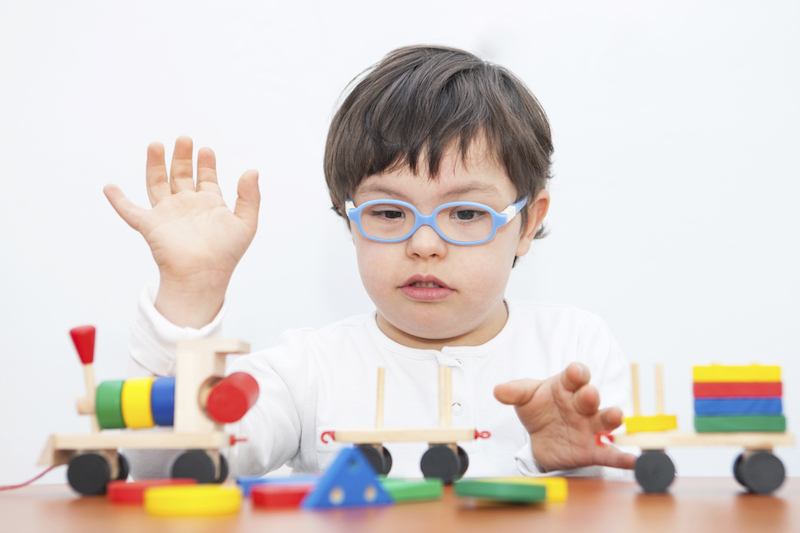 Here is a brief explanation of what guided imagery entails, and why it has been proven to be beneficial for children with disabilities. Guided imagery can be explained as a meditative process that requires a person to visualize and use they their imagination in order to assist in the development of their mind-body connection. This healing process has been proven to be highly effective for children because they tend to be imaginative by nature. Therapists will sometimes use guided imagery when they are trying to get an anxious child to relax because it helps many feel safe and secure. Guided imagery serves as an excellent way to help a child cope with any stressors in their life. For example, many children are especially anxious when it comes to new experiences. The first day of school can be terrifying for some kids. Guided imagery is also recognized as a form of treatment for learning disabilities and depression. It continues to receive praise from the scientific and medical community. Guided imagery can benefit a child in several different ways. It is important to mention that this technique can be customized to fit a child’s individual needs. This entry was posted on Friday, September 29th, 2017	at 12:41 pm	. You can follow any responses to this entry through the RSS 2.0 feed. Both comments and pings are currently closed.